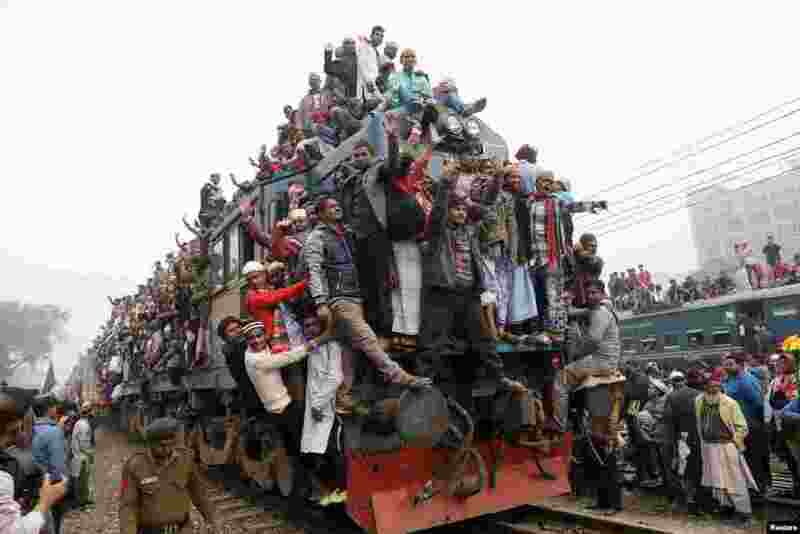 ١ Muslim devotees leave on an overcrowded train after taking part in the final prayer of "Bishwa Ijtema", the world congregation of Muslims, at Tongi near Dhaka, Bangladesh. 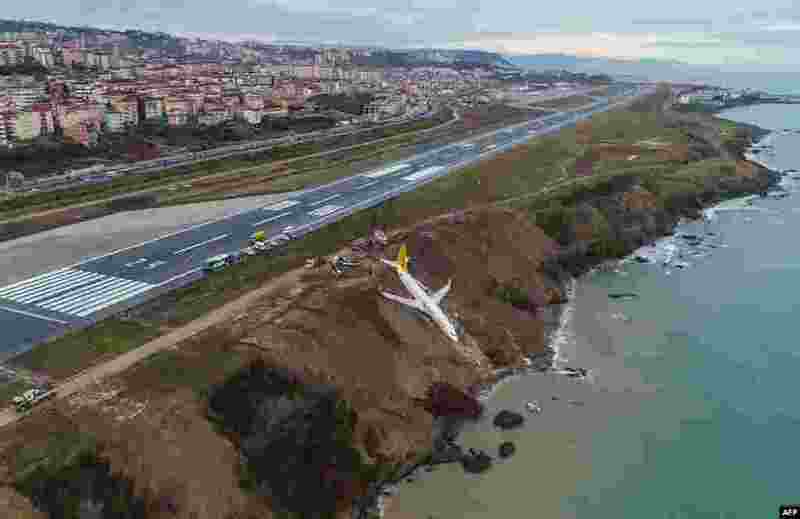 ٢ A Pegasus Airlines Boeing 737 passenger plane is seen struck in mud on an embankment, a day after skidding off the airstrip, after landing at Trabzon's airport on the Black Sea coast, Turkey. 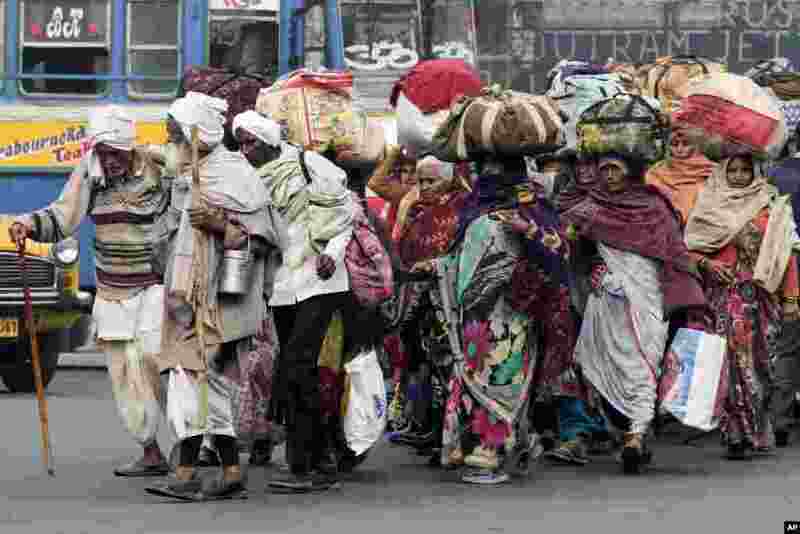 ٣ Pilgrims cross a busy road after taking a holy dip at Hooghly River on the auspicious Makar Sankranti festival day, in Kolkata, India. 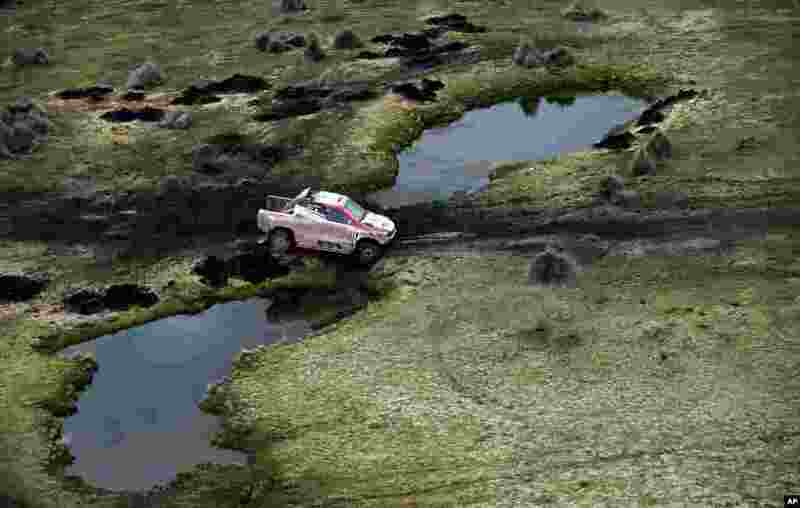 ٤ Toyota's driver Giniel De Villiers of South Africa and co-driver Dirk Von Zitzewitz, of Germany, compete during Stage 7 of the 2018 Dakar Rally between La Paz and Uyuni, Bolivia, Jan. 13, 2018.